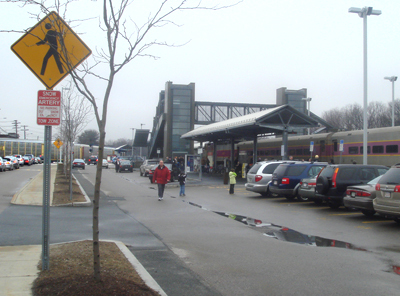 This Is Framingham » What the Framingham? I just want to say that I HATE all the traffic going on in town due to construction on some main streets or world cup celebrating. I’m lucky enough that I can walk to work, but I had to drive yesterday so I could go to an appointment and it took me longer to drive than it does to walk (20 minutes). Then when I was trying to get home, traffic was at a standstill and backed up Concord St. from downtown to a little past Hartford St. Apparently there was some World Cup street celebrating that happened to take place right at rush hour. I’ve encountered such terrible road manners and I try not to let it get me in a bad mood but it’s so disheartening how people act to fellow drivers and how selfish people can get when they decide where they want to get to is more important than following the laws of the road and do things like cut you off and then give you the finger or purposely block paths of oncoming traffic because they didn’t care that even though traffic wasn’t moving, they decided to squeeze by a yellow (even red) light and plug up the intersection. Anyway, I’ll be trying to avoid driving during the day as much as possible and good luck to everyone trying to get around town in the paths of construction. 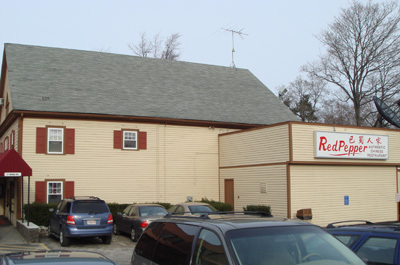 Red Pepper, a restaurant that states they offer authentic Chinese cuisine, posted an email on Framcom stating that due to the amount of people asking for Brazilian food, they are now offering authentic Brazilian cuisine as well. I know Red Pepper used to be a Brazilian place, but just seems so odd to me that anyone, never mind enough people to persuade management, would purposely go to a Chinese restaurant and ask for Brazilian food. Especially with plenty of Brazilian restaurants, run by Brazilians, in town. Just thought that was interesting/bizarre. 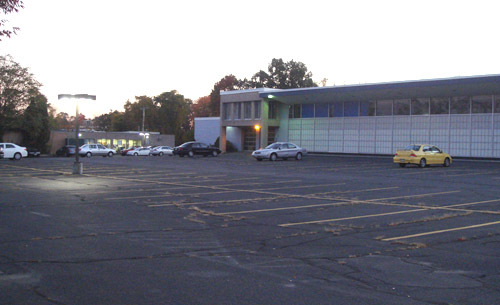 There is something that looks like an old car dealership on Union Ave. Another under utilized property. I’ve noticed that some days there are a few cars in the lot and other days it’s jam packed. I’m not sure what the operation is here but I can’t help but feel this property could be a great location for something better. But again, I have no idea what it’s really used for now besides sometimes parking cars and Lift (or whatever it’s called now) buses. According to a comment on a previous post, Judith says she learned that our shiny star of downtown, Fabric Place, will close it’s doors for good on December 31st. I can’t even begin to say how dissapointed/devestated I am by this as a quilter and a resident of downtown. Just what we don’t need, a great business in a large building closing up shop. This is a dark day for Framingham. 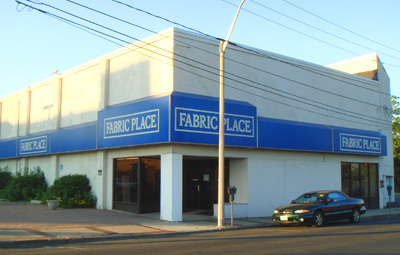 I shall miss ye Fabric Place! I was reading an article in the MWDN about how a non-profit opened a home for Autistic people in Marlborough and there is mixed reaction about it. 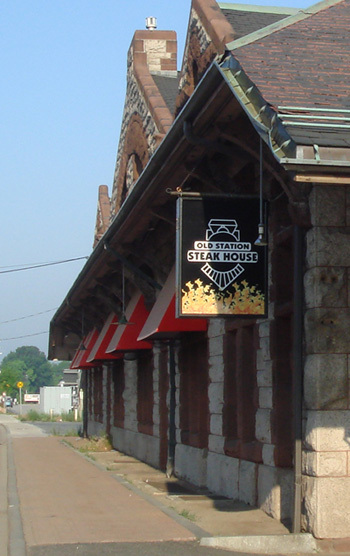 Riding my bike by the (now open) Old Station Steak House, I decided to stop in and asked to look at a menu to see what it was like. The girl at the host stand said they just have a buffet, no menu, so I asked if I could look and although I’m not an expert in the cuisine, it seemed to be similar to Brazilian buffet items I have seen in the past. Nothing against Brazilian food, and the girl at the host stand was very nice but I was looking forward to something we don’t already have several of downtown already. I will eventually come here to review but just thought people may want to know before they go down thinking they can order a steak. 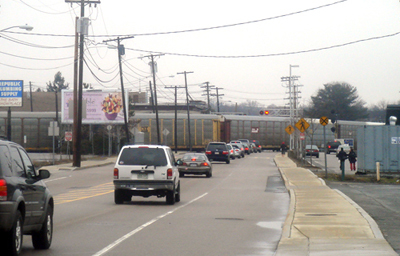 What’s better than a downtown with a train running through the middle of a main route? A downtown with TWO trains running across two main routes! 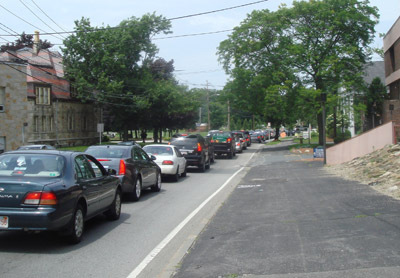 I don’t know when but I know someday there will be a solution to downtown’s infamous Rt.126/Rt.135 traffic problem. There is a Framingam Railroad Task Force that is working on a solution to this problem, I’m not sure what their most recent ideas are but last I heard it’s still undecided which option is more (or less) realistic, making the train tracks go under the streets or the streets go under the tracks. Maybe neither will happen but I know the Public Works Department is working on at least synchronizing the traffic lights. It’s a good start.